The HM range carton erector offers fixed size, manually adjustable, side drive, hot-melt carton erector. Automatic carton erector with side driven belts and manual dimensioning, suitable to seal the lower part of boxes with Hot Melt glue. It doesn’t require the presence of an operator. The operator, after having filled the box storage with boxes and adjusted the machine, presses the START button. 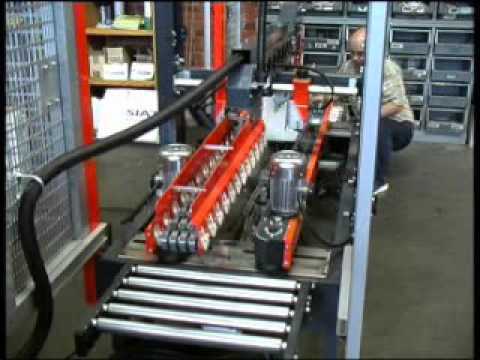 The HM range carton erector machine automatically picks up a box from the box storage and a carriage drags the box which is automatically opened by the box-opener lever. Then the box is pushed by a second carriage into the machine through the side driven belts, while the flap folder devices partially fold the laps.